This month, in a major investigation for the Wall Street Journal, award-winning reporter Georgi Kantchev exposed how industrial-scale looting in the MENA region by Daesh (ISIS) has increased the sale of stolen antiquities to unsuspecting buyers online. Citing research by Dr. Neil Brodie, the article estimated that every day there are about 100,000 antiquities for sale on the internet, valued at over $10 million. Still more troubling, up to 80% of these objects have no legal provenance, and are most likely looted or fake. Kantchev’s piece has prompted increased discussion on the dangers surrounding the online antiquities market. Experts note that fakes and looted artifacts have been a problem on the internet for a long time. However, there has been a sharp increase in the availability of these objects due to the increased popularity of Facebook, Twitter, Snapchat, eBay, Amazon, and WhatsApp. These platforms have made it easier for looters and traffickers to directly contact potential buyers—cutting out the middlemen. What can be done about this growing problem? 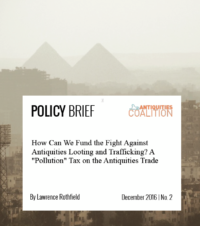 The Antiquities Coalition Think Tank tackled that question earlier this year in a policy brief by Dr. Brodie, which has now been featured by artnet.com and Smithsonian magazine. Quoting Dr. Brodie’s paper, these outlets warned that the online antiquities trade has been a disaster for the field of archaeology, but there are ways to fight back. 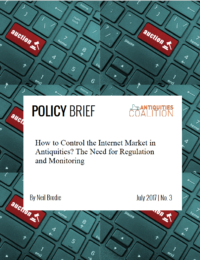 Dr. Brodie’s policy brief offers practical solutions to help better protect good faith consumers from purchasing looted or fake antiquities, while also protecting online businesses like eBay from unknowingly facilitating criminal behavior. It considers some possible cooperative responses aimed at educating consumers and introducing workable regulation, drawing upon recent successes in Germany, as well as criminological thinking about what constitutes effective regulation. The Antiquities Coalition Think Tank, launched in 2016, partners with leaders in archaeology, business, law, security, and technology to identify key policy challenges, conduct high quality research by leading experts and make practical recommendations on how these challenges can be met. 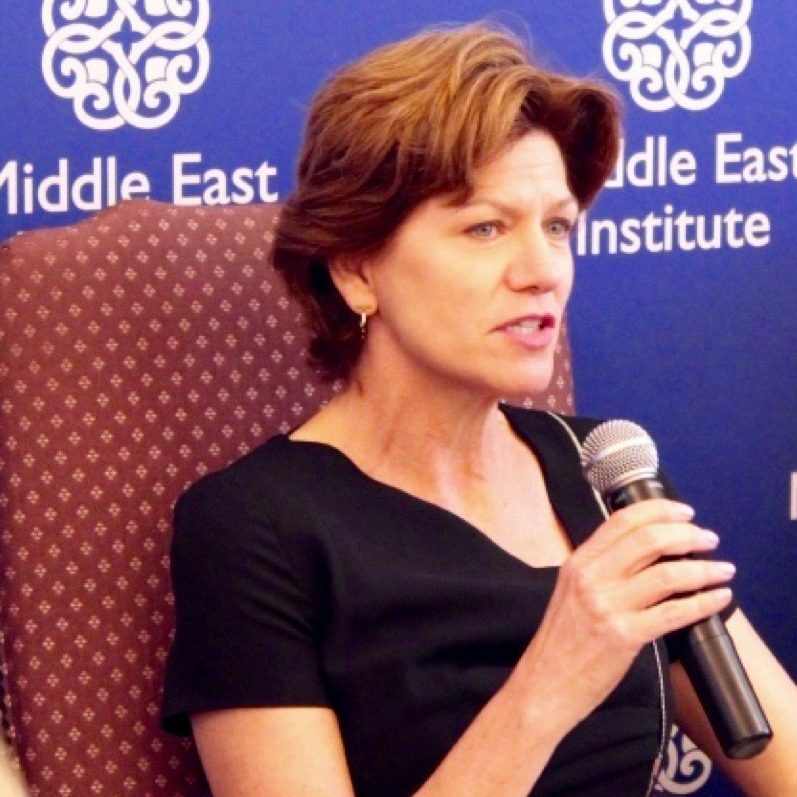 You can find Dr. Brodie’s brief — and others by leaders in the field—here.